A one -man experimental industrialised death machine, Damy Mojitodka’s Pulvis Et Umbra are back with album number 3 and Atmosfear is both a varied, layered excursion into introspection and all-out war! With a rhythm section that batters remorselessly and Damy’s vocals – which tread a fine line between ‘pig-squeal’ and harsh death metal screams – serving their purpose well, it’s left to the choppy rhythms and bursts of polyrhythmic, crunching guitars to deliver the ‘wow’ factor….and deliver they do! “Darkest Sorrow” absolutely slays, harnessing the progressive thrash/progressive death metal sound of the late 80’s and early 90’s to deliver a satisfyingly modern reworking of familiar sounds, while “Virus” throws in a little nu-metal with Damy’s spoken word vocals boiling over into seething rage amidst complex cadence and jazzy breakdowns. In fact, there’s more than a little Cynic, Atheist and Pestilence lurking behind the scenes of most tracks to suggest that Pulvis Et Umbra may experiment wildly in the future but, for now, these influences are aided by Swedish melo-death and a hint of industrial clatter, culminating in a forceful and sonically devastating release. 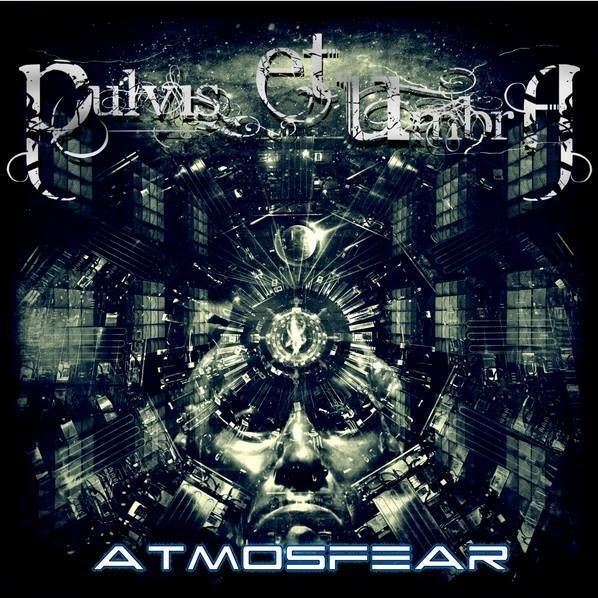 PULVIS ET UMBRA will hit UK shores in October to promote Atmosfear!